I was so excited about - and so let down by - the new iPad Pro. On Thursday morning, I was at the Apple Store once again - to return everything I had purchased less than 24 hours ago. 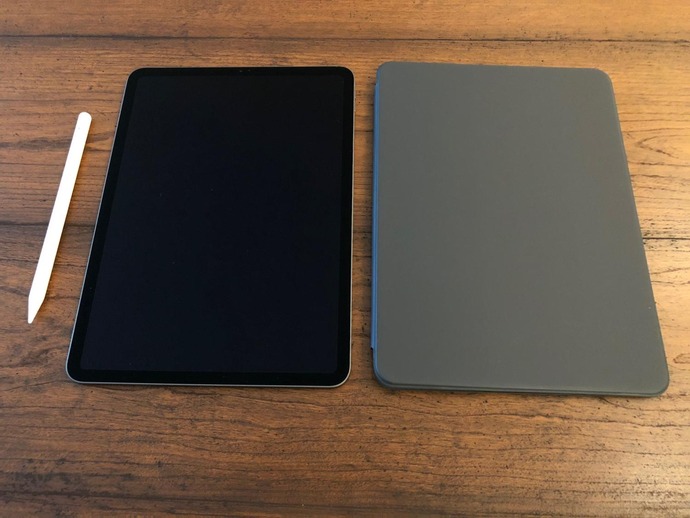 Given the steep price of the iPad Pro - it starts at $800 but quickly gets into laptop or desktop territory - you would expect it to be able to do laptop or even desktop things. Nope. The very first thing I did with the iPad Pro - aside from taking photos of it - was try to write a story with it. I know it can do movies and books, but I wanted to see how much of a "pro" item it was. My very first iPad - the third-generation iPad, and the first one with a Retina display - cost $500 to start. Five hundred dollars is really expensive! And that's before AppleCare and any accessories, like a case. It's not as if the iPad Pro has a special edge, aside from faster chips. It supports the Apple Pencil, which you'll rarely use unless you're an artist, and the Smart Keyboard, which is massively overpriced for what amounts to a loud keyboard with magnets in it. That's about it. The iPad Pro is basically an invitation to spend money on a deluxe iPad experience - fun, sure, but yeah, it's not a work computer. Just as it was for the very first iPad in 2010, the main input method for Apple's tablets is your finger. But Apple needs to realize that people need more than their fingers - or a Pencil - to do professional work in 2018.